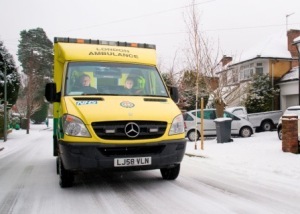 As Londoners prepare for a long weekend this Christmas thanks to two bank holidays, the capital’s ambulance service is urging people to make sure they keep warm and keep well. 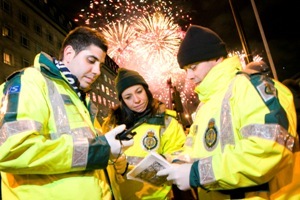 Wintry weather and festive revellers saw 999 calls reach exceptional levels at the end of the London Ambulance Service’s busiest ever week. 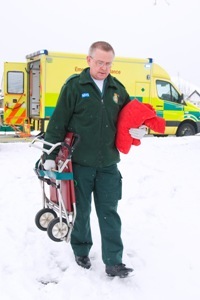 More patients with minor illnesses and injuries will be offered advice over the telephone today to help deal with challenges posed by the wintry weather. 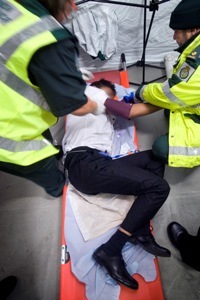 Demand on the London Ambulance Service is expected to soar when festive revellers brave the cold and forecast snow to pack the city’s pubs, bars and clubs for ‘party night’ this evening (17 December). The London Ambulance Service is still under pressure in south east London after demand for ambulances rose by 30 per cent at the weekend. 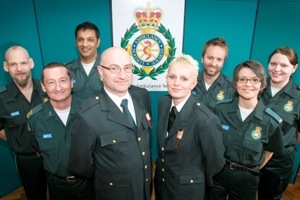 A brave group of ambulance staff has been recognised for going above and beyond the call of duty. 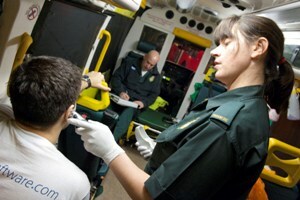 In an effort to tackle the festive increase in demand posed by alcohol-related 999 calls, the London Ambulance Service will launch a treatment centre at Liverpool St train station tonight (Friday 3 December). Stroke care in the capital has scooped a top national award. 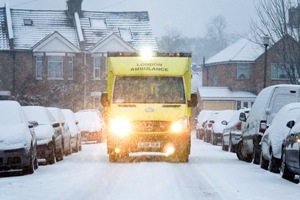 Emergency calls to the London Ambulance Service rose by 18 per cent on the previous Tuesday, as snow hit parts of the capital yesterday (30 November). 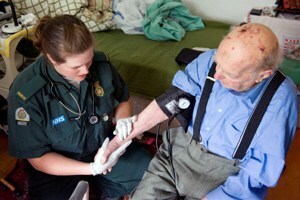 With Christmas just weeks away the London Ambulance Service is getting ready for a festive increase in demand.